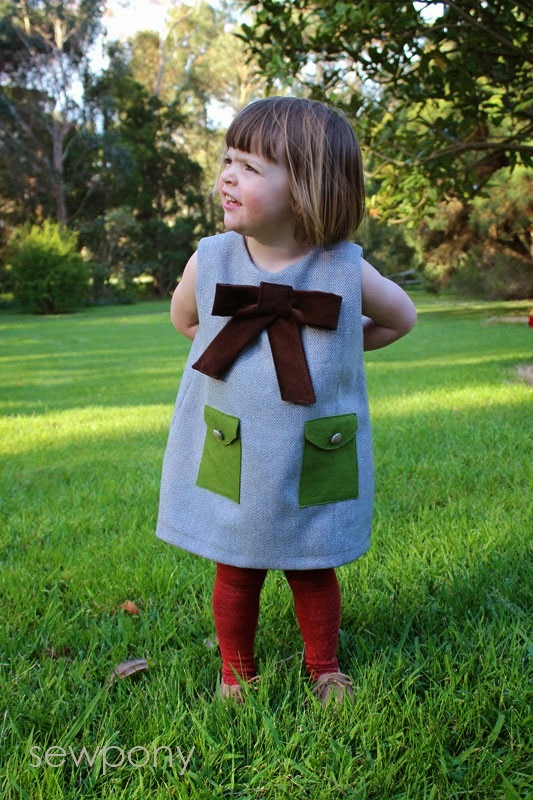 I pinned the woollen dress above months ago as it reminded me of my pattern - Debbie's birthday dress. Today, Crafterhours have the discount code for you to receive the pattern for only $5 for the next 24 hours. 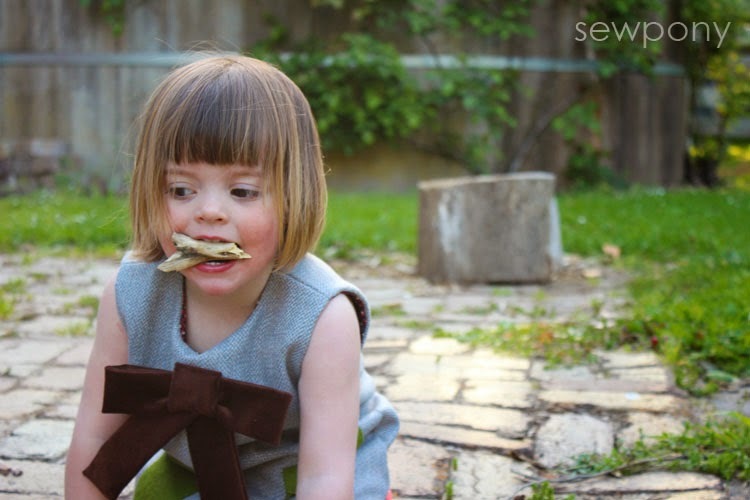 Perfect timing for Kids Clothes Week beginning on Monday. I have another DBD planned for next week inspired by one of Emily's favourite book characters. Today I whipped up a Dolce & Gabbana inspired DBD for Emily. 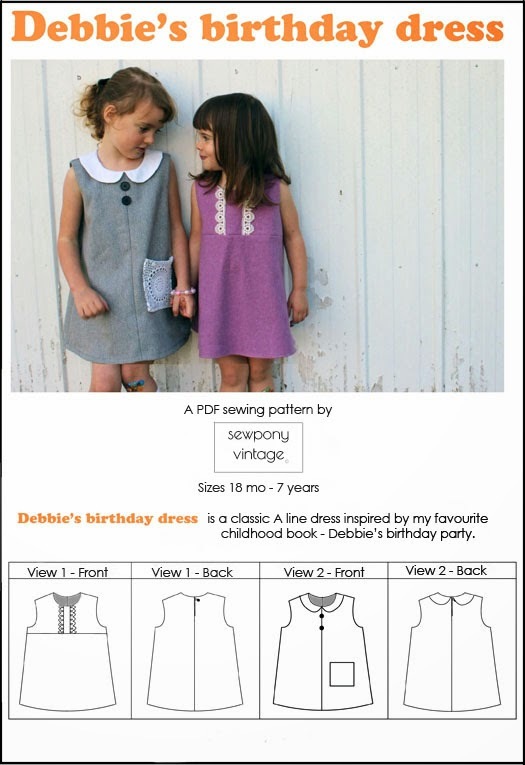 Debbie's birthday dress is a classic A-line dress with two views. As many of you know it was inspired by one of my favourite childhood story books - Debbie's birthday party, illustrated by the great Marcel Marlier. 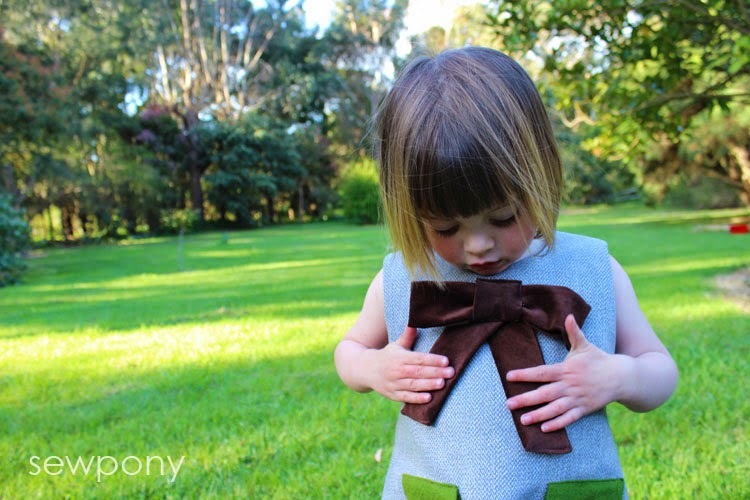 It is a great beginner pattern (no zips or buttonholes!) 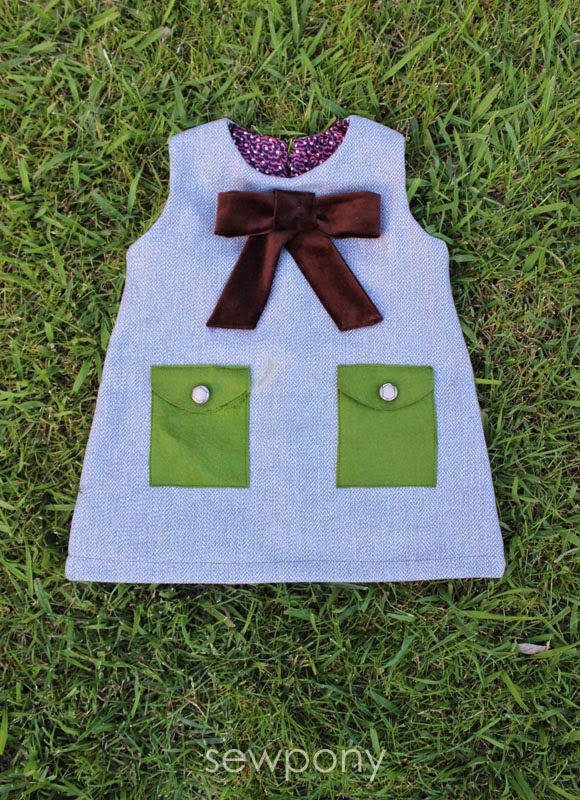 and you can really make it your own with cute trims and adding bows, buttons, etc. Have a look at the sewpony vintage flickr pool for some other lovely Debbie's! 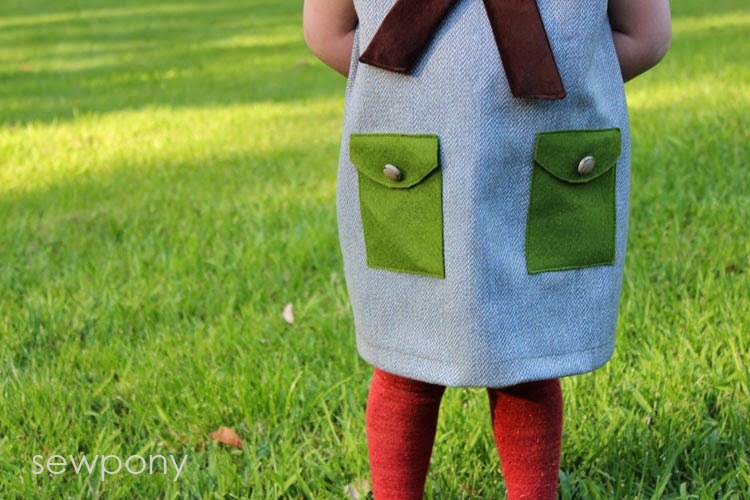 The fabrics I used are: vintage grey wool (given to me by a friend), green wool felt, brown velvet and some quilting cotton for the lining. The buttons on the pockets are vintage too. My dress cost about $5, while the D&G one is $413.33!!! 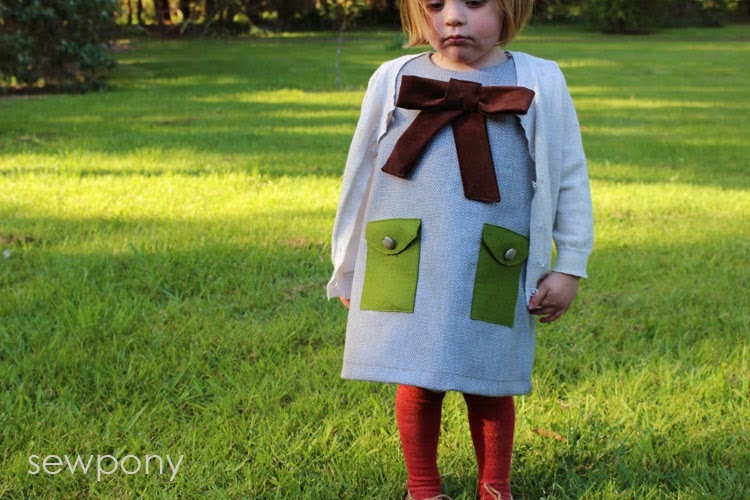 You can create the A-line without the centre seam of view 2 by simply omitting the central seam allowance and cutting your dress front on the fold. 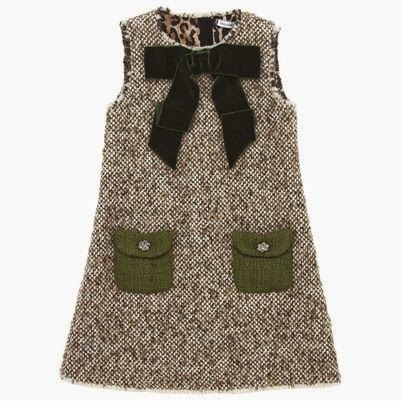 I added a chocolate brown bow to mine and two pockets instead of one. 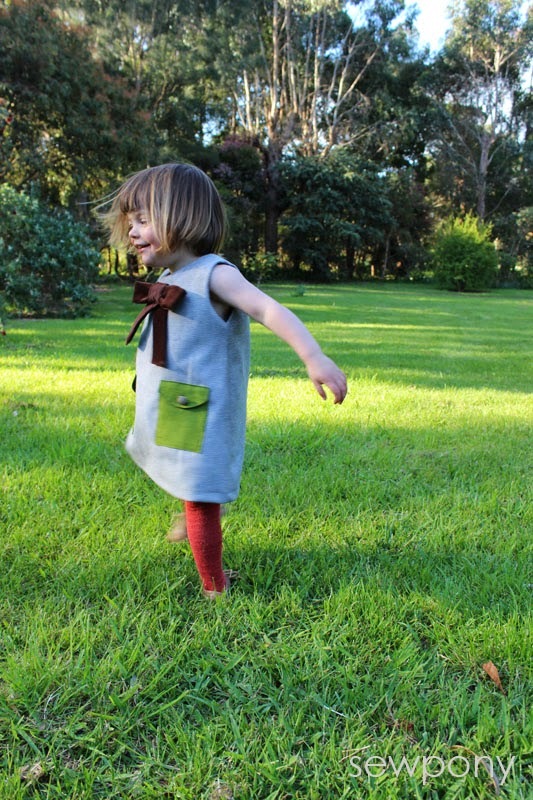 My pocket size on this dress is smaller as had only just enough green woollen felt! Looking at the D&G version again, I might move the bow up a little to make it look a little more balanced. Man I really need to get my Debbie pattern out again! I like yours way better than the d and g dress. It's the wool one I've been dreaming of! Thanks for participating! I still love this pattern of yours so much (I would pick your version over the D&G one. And Emily looks super cute wearing it)! oh that turned out soooo cute!! love everything about it! pinned!